Chairman, Xpansia, Independent Director, Caledonian Investments, Independent Director, Sensear Pte Ltd, Independent Director, Rainmaker Labs Pte Ltd.
Mr Phey Teck Moh is the Chairman of Xpanasia Pte Ltd, an investment and advisory company specializing in Telecommunications and Information Technology companies in Asia Pacific. He has mentored several companies including Metro Residences, Homage, XRVision and raised funds for the companies. 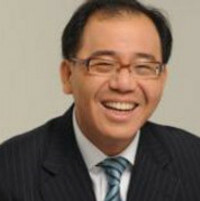 Mr Moh is also currently an Independent Director of Caledonian Investments, Sensear Pte Ltd and Rainmaker Labs Pte Ltd.